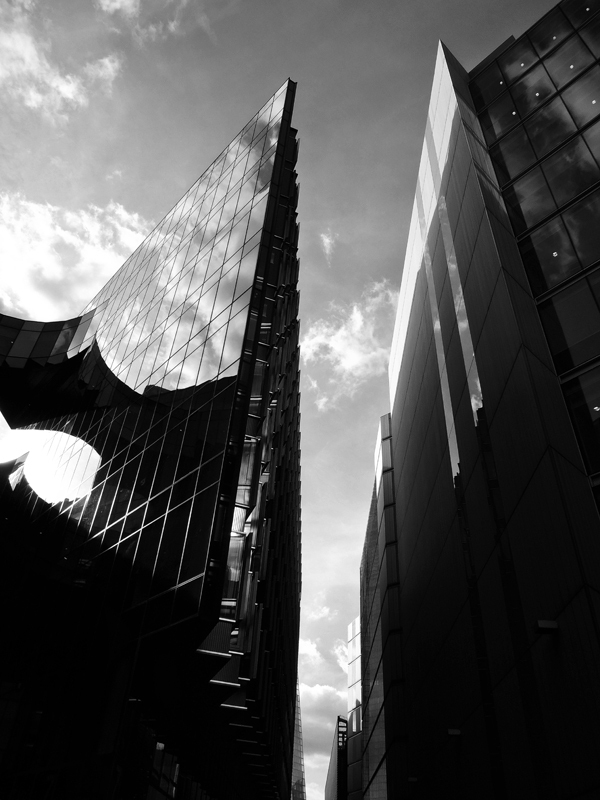 Daryl Johnson (Worcester Park, United Kingdom) on 11 November 2013 in Architecture and Portfolio. Where would today's architecture be without reflections ? @Ronnie 2¢: They're lovely and shiny aren't they Ronnie? This is superb Daryl! Such a strong composition. An excellent PoV captured here with beautiful reflections!! Even better than yesterdays one Daryl! High drama! A superb image. Very nice! I do love shooting around this place. @Ian Smith: Thanks Ian, some striking modern buildings there hey?